Having finished Year 13 at Aotea College, Mytthius signed up for the job seekers benefit with Work and Income while she was seeking work. Work and Income are one of the Youth 2 Work Movement partners and actively encourage their young job seekers to sign up with Youth 2 Work and take advantage of the opportunities on offer. Mytthius started working with Porirua Workforce Development Manager to improve her CV and to make contact with employers. She had several interviews in Wellington but ideally wanted to work locally in Porirua. As is often the way with these things two local opportunities came up at the same time, one with MBIE and the other at Partners Porirua. Mytthius is also enjoying working with the Partners Porirua team. “I’m learning from their experience it’s giving me lessons in life skills, how to be patient and firm and how to manage my time. She’s also achieved her restricted driver licence after completing the Drive4Life programme run by Partners Porirua. 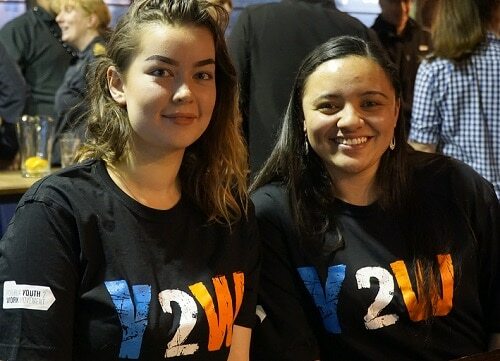 As well as her job at Partners Porirua, Mytthius was recently named as a Youth 2 Work Ambassador making sure young people in the community know what’s available to them and how they can access this.